I have the joy of leading some health and well-being retreats with a good friend of mine, who is a life coach. The retreats look at the idea of alignment. Human beings are unique and beautiful, incredibly intricate and are made up of layers, like an onion. Some of those layers are individual and some are corporate, because no person is an island. At the core of who you are is your spirit, your unique self. Then there is your soul – that sweet mixture of emotions, thoughts, ideas, hopes, longings, memories, hurts, resentments, desires, etc. All of that is encased in a physical body, with all the complexities that the intertwining systems entail. And these 3 parts of you are constantly interacting and affecting one ano ther. For example, physical pain caused to you by another person, may cause you to feel emotionally hurt also (soul pain) and crush your spirit. Or indeed, as I see many times in my work, emotional pain leads to a resentment, which causes a bitterness which manifests itself in a physical pain and so too your spirit is negatively affected. But you do not just float around in a bubble. You exist in a corporate body, in a family, group of friends and community. You live in an environment of some sort, and your surroundings have an incredible amount of ability to affect your health and well-being. This is evidenced in the effect of air pollution on respiratory disease or the effect of isolation or indeed bullying on mental health. We are all aware of the sights, sounds, smells and stressors in our physical geographies. Added to this corporate body is our corporate soul. And in the corporate soul we find corporate memories, ideas and beliefs, fears and dreams, things we have been taught, world views that shape us and all of this feeds into our meta-narratives, the stories with which we align our lives, that give us some sort of meaning. Surrounding all of this? The corporate spirit. Love. God is Love, not fear, or hatred or violence or bigotry or judgment, but Love. We find time and again in our own lives and in the lives of those who come on retreat the misalignment/disalignment/nonalignment that happens so easily, not necessarily through anyone’s fault, but because life is so complex. It’s not as simple as tweaking one thing and then everything falls into place. Many of us still have to live with chronic and enduring illness of various sorts, be that mental or physical and achieving “perfect health” may not be possible. 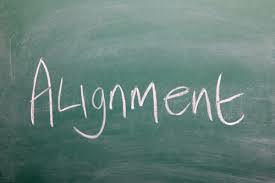 But alignment is possible and it is this that gives us a sense of well-being. So, how well are you? Do you know how much you are influenced by the corporate body and soul? What are your meta-narratives? How aligned are you? There are things we cannot change, but we can chose how we respond to them and the choices we make within them. I want to unpack this a bit more in subsequent posts, but this might just kick off some musings.